Sure miss the mustang forums!! But should be back..Just a few busy months...Working plus doing alot of bar gigs..but having fun atleast..Woot...finaly got on too check the old site.....going to film the old 76 mustang ii soon...show it in its poor spot now..and get it back on its feet ..i got to take the rims off and have new rubber put on thou..they won't hold air...Nice old drag racing rims too...Gots al the old school drag racing stickers under the hood..saying Holley 390!! and has a holley on it for sure and Offenhauser intake..ill put it up soon too...i hope..damn time flys huh? Where at in Washington are you Hyena? I'm going back there for the week. hyena429;38805 Wrote: Sure miss the mustang forums!! But should be back..Just a few busy months...Working plus doing alot of bar gigs..but having fun atleast..Woot...finaly got on too check the old site.....going to film the old 76 mustang ii soon...show it in its poor spot now..and get it back on its feet ..i got to take the rims off and have new rubber put on thou..they won't hold air...Nice old drag racing rims too...Gots al the old school drag racing stickers under the hood..saying Holley 390!! and has a holley on it for sure and Offenhauser intake..ill put it up soon too...i hope..damn time flys huh? 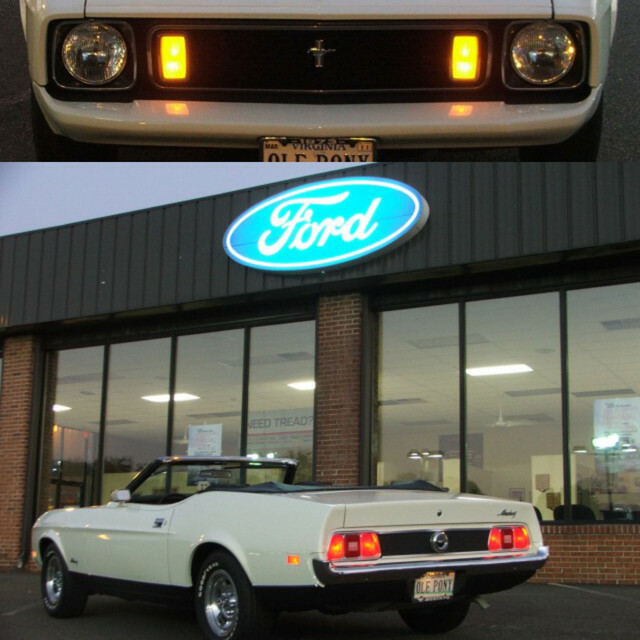 I would like to see more of the Mustang II's. Post up those pics! oohh yes..the mini pony vid will be coming soon..lol...just had so much going on lately..allways gets real busy when it gets colder. OLE PONY;38841 Wrote: I would like to see more of the Mustang II's. Post up those pics! This 74 Mach1 was at Sundays Mustang show in San Diego. Its a sweet little ride. Cool another shaggy haired musician! I like the fact that there are people dancing in your vids. That unfortunately doesn't usually happen here in my Country. luxstang;38936 Wrote: Cool another shaggy haired musician!